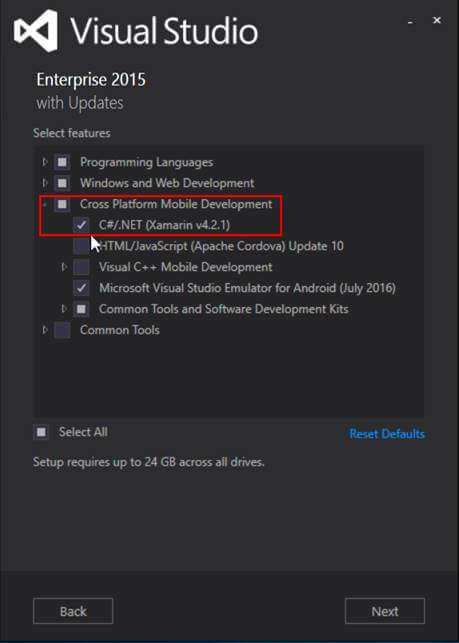 In this article, you will learn how to install Xamarin in Visual Studio 2015. As we know, the world is moving towards mobile technology. Everyone wants everything on their mobile phones. In the tech world, there are n numbers of platforms to develop a mobile application. Some very popular ones are Android Studio, Swift, Cordova etc. As a Microsoft .NET framework developer, I love to explore the Microsoft technologies and tools. This inspires me to describe to you one of the most famous cross-platform mobile development technologies from Microsoft -- Xamarin. Xamarin is a cross-platform UI toolkit that allows developers to efficiently create native user interface layouts that can be shared across iOS, Android, Windows phone, and Universal Windows Platform apps. I am going to introduce the Xamarin installation, development, and building multi-platform and multi-screen applications in my current and coming post. 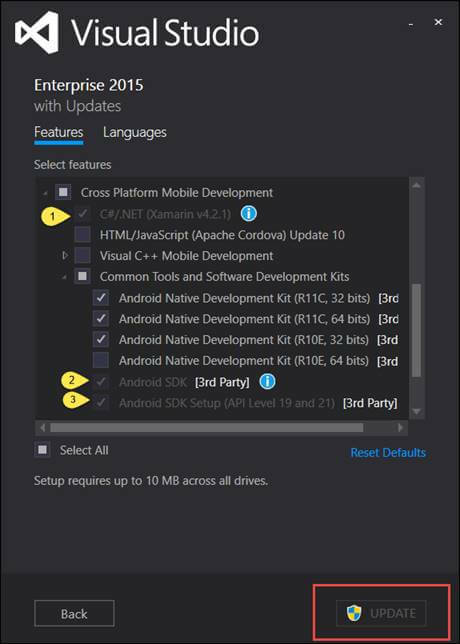 To Install Xamarin in Visual Studio IDE, these are the things required. Visual Studio 2015 (Community, Professional, or Enterprise). 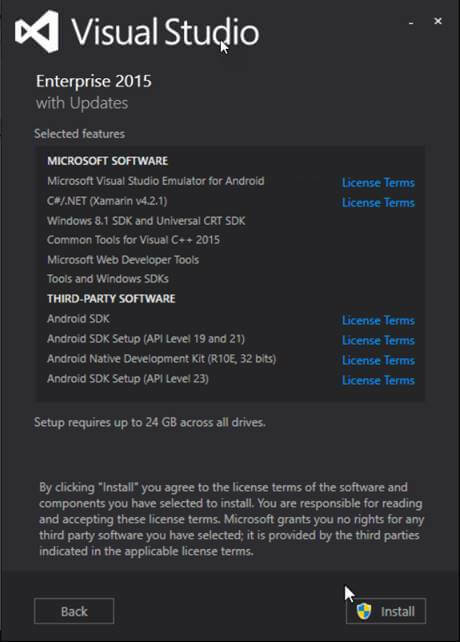 If you have already installed the Visual Studio 2015 and want to Install Xamarin then please follow these steps. Please close all the running instances of Visual Studio 2015. In my case, I am using the Windows 10 Operating System and Visual Studio 2015 Enterprise edition. So some screens may vary. I will suggest you use Windows 10 because Xamarin allows you to create the Universal App in Windows 10 only. I will explain to you what the Universal App is in my next article/blog, first, let's see how to Add/Install the Xamarin in Installed Visual Studio 2015. Once you click on Program and features you can see the below screen. 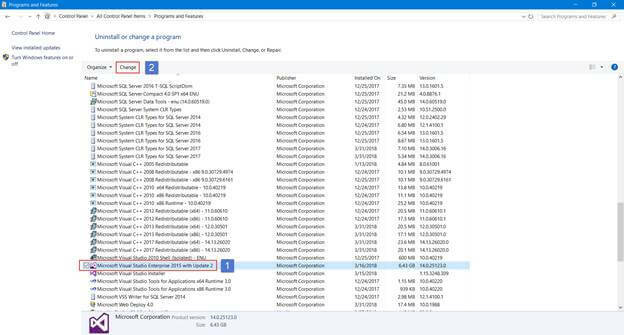 In the Program and Features, first select the VS 2015 and then click on “Change”. Click on “Modify”, Once you click on Modify can see this screen. Select the all three Yellow Marked Item and then press update. Once you press update it will start Installing the Xamarin. Wait for awhile to finish the update. Once Xamarin is installed you can see the Xamarin Templates inside the Project Menu. 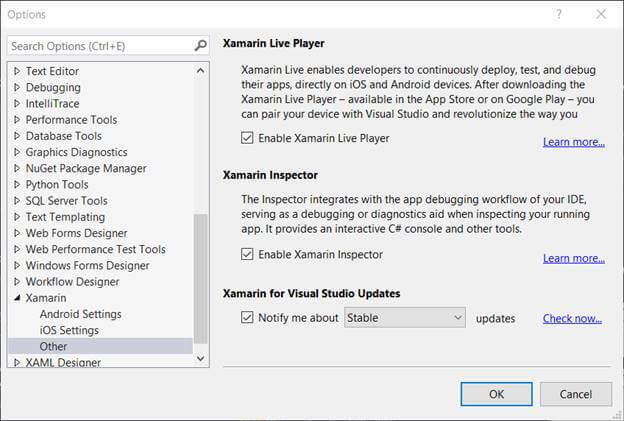 To Install Xamarin with Visual Studio, please follow the below steps. 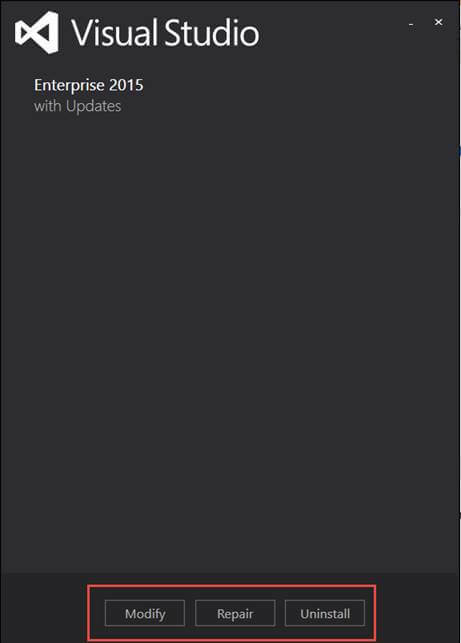 Launch the Visual Studio 2015 Installer and after some initialization, you should see the below screen. 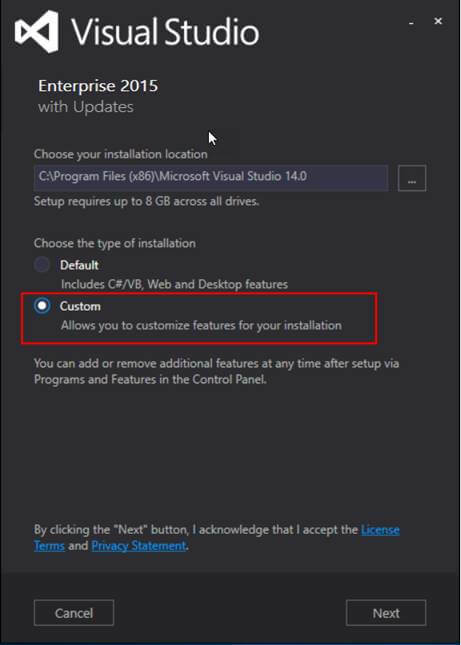 Please select “Customs” the type of installation. After that, click on Next button. You should see a page with a list of features to select. 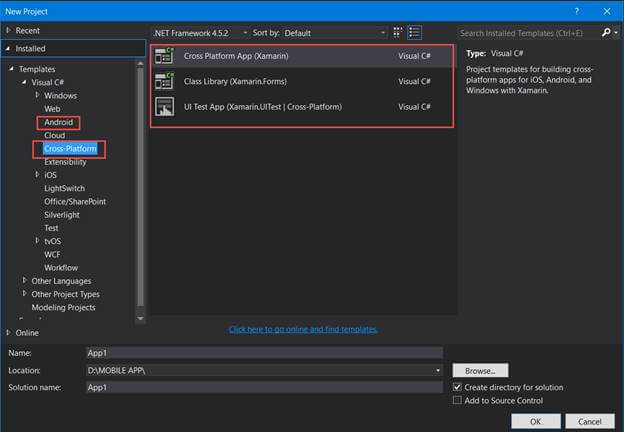 Please expand Cross Platform Mobile Development and SELECT C#/.NET (Xamarin v4.2.1). After you select it, a few other features will be auto selected too. After that, click on Next button. The next screen will be a screen to confirm your selected features. Just click on Install button. Please wait for the installation to finish. 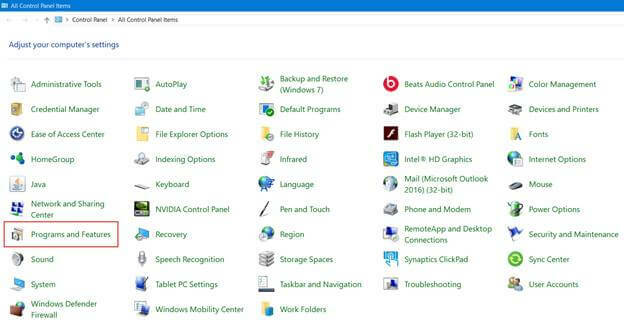 Make sure you are connected to the internet because the installer will download the components for installation. After it's installed, open Visual Studio and go to Tools>Options. Then select Xamarin>Other in the left pane. Click on Check Now button to check for updates. If you have any doubts please let me know. Thanks.